The P.R.A.Y. Program may be used by any Protestant denomination or Independent Christian/Non-denominational congregation. While P.R.A.Y. values formal partnerships with the national denominations below, P.R.A.Y. does not enforce any “membership requirements” for churches to use our curriculum. Only one stipulation is in effect: the final review must be done by the pastor (see eligibility guidelines). The P.R.A.Y. Series is a program of the church. Its objectives are to help young people grow in their understanding of the Christian faith, to help young people see how other people have translated belief into action, and to provide young people with the opportunity for Christian service to others. Many organized bodies of the church were represented in designing and testing this program. A conscious effort has been made to develop each unit of the program without theological bias; yet each program is designed to permit the introduction of particular theological and denominational viewpoints on the material being studied. It is the responsibility of the counselor to provide this input. Families and congregations of the following denominations have helped youth earn P.R.A.Y. awards. If your Christian denomination is not listed below, please click "Protestant/Independent Christian/Non-denominational." For additional information on religious emblems or to search by faith, click here. See the program outline, eligibility guidelines, and more on the Jesus and Me page. See the program outline, eligibility guidelines, and more on the God and Me page. Present your work to your pastor. See the program outline, eligibility guidelines, and more on the God and Family page. See the program outline, eligibility guidelines, and more on the God and Church page. See the program outline, eligibility guidelines, and more on the God and Life page. The God and Service Award is a national recognition awarded by churches and national youth agencies cooperating with Programs of Religious Activities with Youth (P.R.A.Y.). It is given to acknowledge distinguished volunteer service by adults in ministry to young people through service to the Church and one or more of the national youth agencies (Boy Scouts of America, Girl Scouts of the U.S.A., Camp Fire USA, American Heritage Girls). Self and spouse nominations will not be accepted. The adult award package contains a medal that can be worn around the neck, a lapel pin and an 8 1/2" x 11" personalized color certificate. 1. Have a minimum of 5 years of service to the church. 2. Have a minimum of 5 years of service (be fully trained and exhibit past and present leadership) in the youth agency (BSA, GSUSA, CFUSA, AHG). 3. Encourage and assist young people in earning the God and Country award. 4. Promote religious observances at youth agency functions at all levels. 5. Encourage youth to participate in community service projects. 6. Recruit volunteers to give leadership to national youth agency programs. 7. Promote the organization of youth agency units among churches other than his or her own congregation. 8. Be a person whose Christian example is highly regarded by others in the church and whose lifestyle is a model for young people. Is this the award you're looking for? Children are a gift from God, and it is our duty to bring them up to know and to love God. The “Building Faith in Youth” Award is designed for Protestant congregations to recognize individuals who have contributed significantly to the children’s and youth ministries of their church through the P.R.A.Y. programs (i.e. God and Me, God and Family, God and Church, and God and Life). The “Building Faith in Youth” emblem has a shield with a four-colored cross. The four colors converge into a point to create an “X” at the center of the cross. “X” is the first letter in the Greek word for Christ, and it is symbolic of how Christ should be at the center of our lives. The four colors were chosen because they correspond to the four levels in the P.R.A.Y. series, i.e. God and Me (red), God and Family (yellow), God and Church (blue), and God and Life (green). The colors also embody traditional meanings: red (love, the blood of Christ), yellow (sunlight, joy), blue (truth, loyalty), green (new life, growth, revival). The award package includes a medal that can be worn around the neck, a ¾” lapel pin, and an 8 ½” x 11” certificate. Demonstrate exceptional Christian character and be active in a Protestant congregation. Use the P.R.A.Y. programs (God and Me, God and Family, God and Church, God and Life) to disciple young people and their families and to support the Christian Education program of the local Protestant congregation. Have a continuous record of using and supporting a P.R.A.Y. ministry (i.e. teaching God and Me, God and Family, God and Church, and God and Life) with a minimum tenure of three years. Utilizing the mentor programs to build up the congregation’s ministry to families. Actively recruiting and training adult counselors . Providing outreach opportunities to young people in the Boy Scouts of America, Girl Scouts of the U.S.A., American Heritage Girls, and Camp Fire U.S.A.
Parents have the option of enrolling in the Adult Mentor Program. In this program, the parent is an active learning participant alongside the child. The parent would have lessons and projects to complete in the Mentor Workbook just like the child, and then both parent and child would work on the student curriculum together. The mentor program is designed to provide the adult with additional opportunities to model his or her Christian faith and to help a young child talk about his or her belief in God. What is the difference between the mentor pin and an adult recognition award? The Adult Recognition Awards are by nomination only (they are not work/study programs like the youth awards). These are honors given to worthy adults for their outstanding service to youth both through their church and one of the national youth agencies. Recipients of these awards are unaware that they are being nominated: an outside party must nominate them to receive an award by submitting the required application, letters of recommendation and resume. Have a minimum of 5 years of service to the church. Have a minimum of 5 years of service (be fully trained and exhibit past and present leadership) in the youth agency (BSA, GSUSA, CFUSA, AHG). Encourage and assist young people in earning the God and Country award. Promote religious observances at youth agency functions at all levels. Encourage youth to participate in community service projects. Recruit volunteers to give leadership to national youth agency programs. Promote the organization of youth agency units among churches other than his or her own congregation. Be a person whose Christian example is highly regarded by others in the church and whose lifestyle is a model for young people. The St. George Cross Award is a national recognition of the Anglican Church in North America that is awarded by churches and national youth agencies cooperating with Programs of Religious Activities with Youth (P.R.A.Y.). It is given to acknowledge distinguished volunteer service by adults in ministry to young people through service to the Church and one or more of the national youth agencies (Boy Scouts of America, Girl Scouts of the U.S.A., Camp Fire USA, American Heritage Girls). Self and spouse nominations will not be accepted. The adult award package contains a medal that can be worn around the neck and an 8 ½" x 11" personalized color certificate. Encourage and assist young people to earn the P.R.A.Y. award. The Good Shepherd Emblem is a national recognition for adults who have rendered outstanding service to Baptist youth through their church and one of the national youth-serving agencies (Boy Scouts of America, Girl Scouts of the U.S.A., Camp Fire USA or American Heritage Girls). The emblem is made available through the Association of Baptists for Scouting in cooperation with the national youth serving agencies. Self and spouse nominations will not be accepted. The Good Shepherd award package contains a medal that can be worn around the neck, a lapel pin and an 8 1/2" x 11" personalized color certificate. Be 23 years or older. Demonstrate leadership as a “Good Shepherd” in his or her service to youth. Have a minimum of five years of active service in local church ministry. Have a minimum of five years of active service in one or more national youth-serving agencies (BSA, GSUSA, CFUSA, AHG). Actively participate in the worship life and program of his or her congregation and be of substantial Christian character. Assist in and encourage youth to serve their Lord through the God and Country program. Display outstanding service in organizing, promoting and strengthening youth-serving agency units operated by Baptist churches. Cooperate with youth-serving agencies in promoting a “Duty to God” emphasis. Live the Christ-like life in other community affairs and organizations (Colossians 1:10). This is a most important item. Courage and assist young people in earning the God and Country award. Leaders of children in Christian Education programs have given countless hours to prepare and teach values. Therefore it is appropriate to recognize their service to God and the Church and to affirm how much they mean to us and to our children. The Church Session will recognize adult leaders who have given exceptional service to children and youth and will grant them The Celtic Cross Award. Self and spouse nominations will not be accepted. These adults can come from the church’s own programs, i.e. Sunday School and Youth Fellowship. They may also come from the Boy Scouts of America, Girl Scouts of the U.S.A., Camp Fire USA, and other youth serving agencies. The Celtic Cross was used in the Church of Scotland and has had special significance through the history of the Presbyterian Church. The bronze medallion has a yellow cross against a dark blue background. It hangs from a blue and green plaid ribbon. The recipient of the Celtic Cross Award is entitled to wear the Religious Knot on the Boy Scout uniform. The adult award package contains a medal that can be worn around the neck and an 8 ½” x 11” personalized color certificate. The nominee is an adult active as a youth leader associated with a Presbyterian Church program and demonstrates exceptional Christian character OR has given faithful service to a youth program(s) of a congregation by serving in church leadership positions. The nominee has a continuous record of using and supporting youth ministry with a minimum tenure of two (2) years. These ministries may include Sunday School, Youth Fellowship, Boy Scouts of America, Girl scouts of the U.S.A., Camp Fire USA and other youth serving agencies. The nominee has served the organization at a level where he or she works directly with youth. A nominee from the Boy Scouts of America, Girl Scouts of the U.S.A. and other youth serving agencies has encouraged religious growth (i.e. promoted the P.R.A.Y. Programs, promoted the use of religious services when camping or at other activities that have taken youth from regularly scheduled worship services, etc.). The award seeks the individual; the individual does not seek the award. Self-nominations and spouse nominations will not be accepted. The St. George Award of the Episcopal Church is a national recognition to acknowledge distinguished service by adults in the spiritual, physical, mental and moral development of youth through service to the Church and through national youth agency programs. 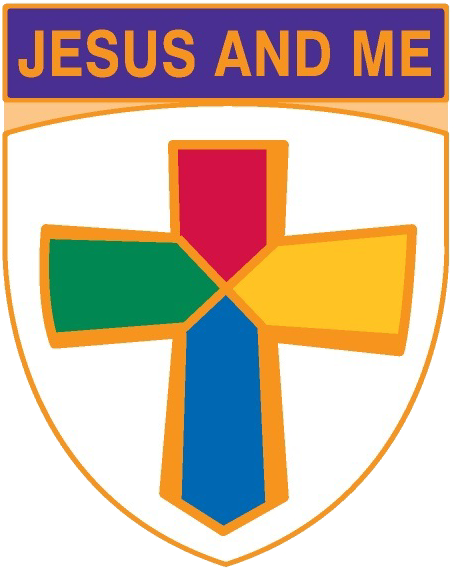 The award may be presented to any adult (including laypersons, ordained persons, professional church workers, men and women) who are active in their church and one or more of the national youth agencies (Boy Scouts of America, Girl Scouts of the U.S.A., Camp Fire USA, 4-H, Brotherhood of St. Andrew, and Daughters of the King). The award is made available through the Youth Ministries Office of the Episcopal Church Center.Self and spouse nominations will not be accepted. The adult award package contains a medal that can be worn around the neck and an 8 1/2" x 11" personalized color certificate. Encourage youth to join a national youth agency program. Promote the organization of agency units in Episcopal churches and recruit volunteers. Exhibit past and present leadership and be fully trained in their area of responsibility. Assist and encourage youth to serve their Lord through the God and Country Program for Episcopal youth, and serve as a counselor. Encourage youth to participate in the religious emblems program and to do service projects for the chartering/sponsoring partner or community. Promote religious observances at national youth agency functions at all levels. Give adequate help to their homes as well as the homes of others. Give evidence that they lead their families into a strong relationship with God. Give outstanding service to the local parish. Be highly regarded by others in the Church for their Christian example. The purpose of The Lamb Award is twofold: 1) to acknowledge the distinguished service of Lutheran adults in fostering the spiritual growth of youth through church and civic youth serving agency programs (Boy Scouts of America, Girl Scouts of the U.S.A., Camp Fire USA, and 4-H); 2) to increase the use and quality of the civic agency programs in Lutheran Congregations as a part of their ministries with youth. Self and spouse nominations will not be accepted. The Lamb award package contains a medal that can be worn around the neck, a lapel pin and an 8 1/2" x 11" personalized color certificate. Have a minimum of 10 years of distinguished volunteer service to the church. Have a minimum of 10 years of distinguished volunteer service to one or more civic youth agencies(BSA, GSUSA, CFUSA, 4-H). Promote the religious growth programs, the observance of Boy Scout, Girl Scout, or Camp Fire Sunday, chaplains and chaplain’s aide program. Exhibit leadership and be fully trained in the civic youth agency. The Servant of Youth Adult Recognition is awarded by the Lutheran Committee on Civic Youth Agency Relationships [LCCYAR]. (This committee is formed by and responsible to the youth ministry departments of the Evangelical Lutheran Church in America [ELCA] and The Lutheran Church-Missouri Synod [LCMS].) It is given to acknowledge distinguished volunteer service by adults in ministry to young people through one or more civic youth agency programs (Boy Scouts of America, Girl Scouts of the U.S.A., Camp Fire USA, 4-H). Self and spouse nominations will not be accepted. The adult award package contains a medal that can be worn around the neck and an 8 1/2" x 11" personalized color certificate. Be an active member of a Lutheran congregation OR be an active member of another Christian congregation who serves Lutheran young people through a civic youth agency affiliated with a Lutheran congregation. Have a minimum of five years of service to the church. Have a minimum of five years of service to one or more civic youth agencies (BSA, GSUSA, CFUSA, 4-H). Encourage young people to participate in the spiritual growth opportunities in their congregations. Recruit adult volunteers, especially Lutherans, to give leadership to civic youth agency programs. The purpose of The Lamb Award is twofold: 1) to acknowledge the distinguished service of Lutheran adults in fostering the spiritual growth of youth through church and civic youth-serving agency programs (Boy Scouts of America, Girl Scouts of the U.S.A., Camp Fire USA, and 4-H); 2) to increase the use and quality of the civic agency programs in Lutheran Congregations as a part of their ministries with youth. Self and spouse nominations will not be accepted. The Lamb award package contains a medal that can be worn around the neck, a lapel pin and an 8 1/2" x 11" personalized color certificate. Have a minimum of 5 years of service (be fully trained and exhibit past and present leadership) in the youth agency (BSA,GSUSA, CFUSA, AHG).